Lately, I have been experimenting with many different things that is usually advised against in the natural hair community. Since I'm able to grow my hair to a length that I have never seen my hair at before, I figured I might as well enjoy it. I have been trying out a few things to see if it will actually make any difference in my hair, one of them being comb entangling. We've all heard that one of the keys to longer hair is to detangle with fingers instead of a comb. For someone who grew up using all sorts of hair tools to manage their hair, this has been difficult to accept. It can even seem contradictory when you read reviews on detangling tools such as the tangle teezer or the denman brush on major natural hair websites. If you're like me, you're probably wondering why the same people that told you to throw your comb away are the ones telling you to go get the latest and great combs. I am beginning to discover that I will need to return to comb detangling as I continue my natural hair journey. You see, the truth is that when it comes to natural hair, no two heads are the same. This means that the greatest hair tip for one person could be a disaster for the next person. If you have a head of hair like mine that always changes with the season, it's impossible to stick to one hair tip only. When I first went natural, I started comb detangling. As my hair grew out, I had to finger detangle more, as I found that combing through my hair took a lot of time and was becoming painful. Fast forward to about 3 years down the road and I am beginning to discover that I will need to return to comb through my hair again. 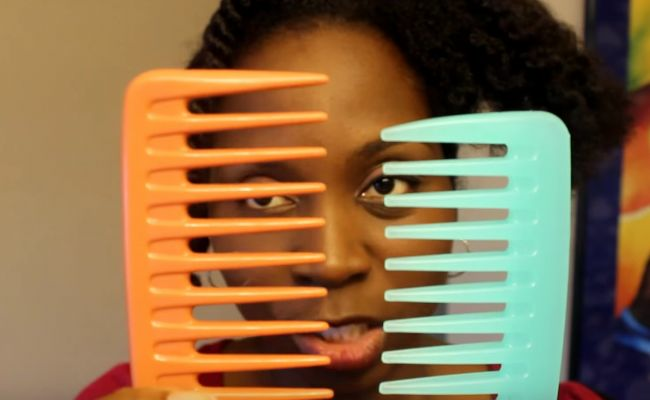 In case you're on a hair journey and are wondering if it's actually possible to go your whole life without combing through your hair, here are 5 instances when it's absolutely ok for you to bring out your best detangling tool for your hair. Let's face it, natural hair loves to tangle up. No matter how careful we sometimes are with our hair, it just seems like there's nothing we can do to completely eliminate the annoying knots and tangles from our hair. Even though we can separate most of the tangles with our fingers, there was a reason for the invention of combs--to separate tangles, remove knots and give you beautiful hair. Luckily, there are so many hairstyles that a natural can wear without the need for a completely detangled hair. Hairstyles such as two strand twists, wash-n-gos, updos, and any out style will still look good on hair that has been only partially detangled. However, other hairstyles like cornrows, braids, and flat twists will often require completely detangled hair. Also, when your hair has been angled completely, you're better able to part through your hair easily and quickly, and your parts will turn out neater, since you don't have to go around any tangles to avoid them. Even if you have an entire week to finger detangle sections of your hair, your hairstylist won't. Finger detangling takes a lot of patience and time. To avoid frustration, pain, and getting sent home by your stylist, first comb through your hair at home before the appointment. One of the benefits of having short hair is that it is resilient and able to bounce back from a lot of hair accidents. Since shorter hair is considered to be "new", they are generally at a healthier state with fewer split ends, this is given that your hair isn't colored or heat-damaged. With a longer hair length, the comb has to travel a greater length before it can completely detangle the entire hair shaft. This long journey puts longer hair at a greater risk for breakage when it is combed through, whereas a shorter length won't have this risk. 5. It doesn't make a difference in your length retention rate. 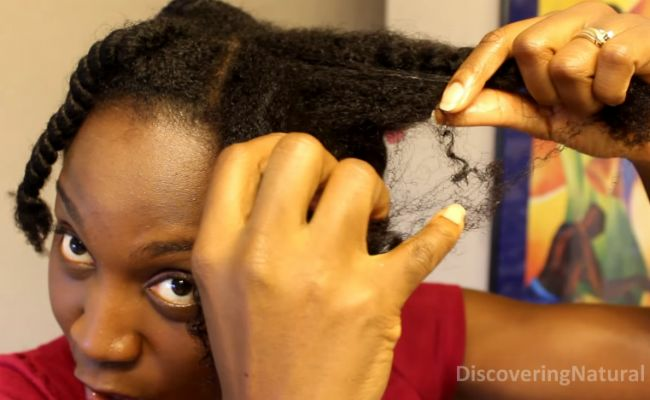 There are naturals who swear by finger detangling, while many others have a collection of hair combs and brushes. 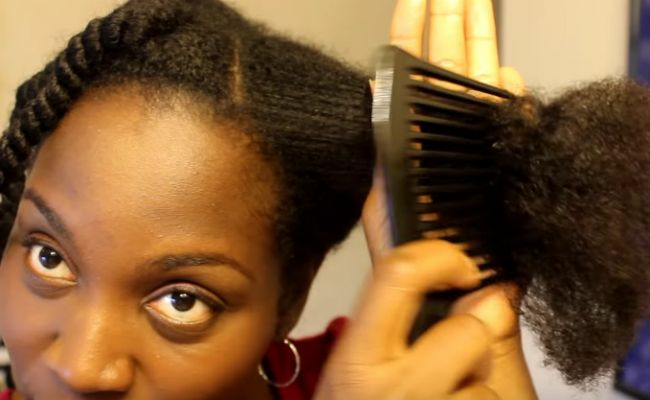 Naturals with fine hair might experience a lot of breakage when they use a comb, while naturals with thicker hair might not have a problem with comb detangling. When it comes to finding out what works for your hair, try different techniques out and see what works for your hair (or what doesn't). The key to using a comb is to be gentle-handed and patient. As long as you use them once in awhile, they can work--just use the guide above to help you during the process. Do you comb detangle? And if so, how often? Visit my personal blog Coils & Glory for more natural hair tips for type 4 hair.